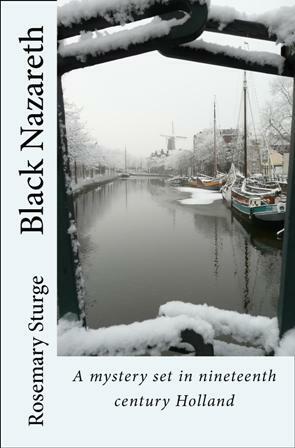 Schiedam, South Holland, 1860: A terrified young boy runs through a town he barely knows. Who lives in these tall buildings beneath the monstrous windmills and towering soot-stained gin distilleries? Tomas isn't used to living on dry land, his home has always been his family's beloved boat, the Appelbloesem,travelling the waterways of the Netherlands, but his mother has died and his drunken step-father is bent on abusing him. Who will help a desperate barefoot boy? Tomas's flight sets off a chain of events that shakes the town and its inhabitants. Schiedam today is a pleasant dormitory town only five minutes from Rotterdam by train. The old centre with its traditional gabled town houses, converted grain stores, tree lined canals, and restored sailing barges is very attractive. Traces, however, remain of the town's darker history as the 'gin capital' of Europe in the eighteenth and nineteenth centuries. At one time there were said to be as many as 200 distilleries. A profitable trade, as can be seen from the handsome public buildings and the elaborate houses built for the rich distillers, ship builders and sea captains along the Lange Haven and around the Plantage (the first public park in Holland). All this wealth came from gin, much of which was shipped to England, where it was sold to the poor who became adicted to it. Its effects can famously be seen in the engraving by the eighteenth century artist William Hogarth, which shows tradesmen selling their tools to buy gin, a drunken mother dropping her baby on its head, suicides, robberies etc. In Schiedam itself it was said that people could often obtain gin free of charge by going to one of the distilleries to 'fetch hot water'. Despite the 'evils of gin' many of the distillers were pious and caring. They built churches, orphanages, hospitals and alms houses for the poor, handsome buildings that can still be seen today. Black Nazareth is available in print from Amazon This is the UK Amazon site but it is available from other Amazon sites too. Black Nazareth is available for Kindle from Amazon This is the UK Amazon site but it is also available from other Amazon sites. I would be very pleased if you could leave a review on the website where you buy it. The orphanage in Schiedam which is featured in the book. On the roof are statues of two orphans in their uniforms, a boy and a girl. Detail showing one of the statues. Tomas in the book would have been dressed like this once his friends "borrowed" the clothes for him so he could hide. Detail showing the statue of a girl. Saskia, Tomas's friend, would have been dressed like this.